Cozy Tapes Vol. 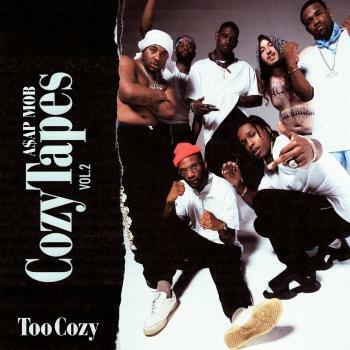 2: Too Cozy is the second studio album by American hip hop collective ASAP Mob. The album features guest appearances from Big Sean, Playboi Carti, Pro Era, Quavo, Lil Uzi Vert, Lil Yachty, Chief Keef, Gucci Mane, Schoolboy Q, Frank Ocean, Jaden Smith, Smooky Margielaa & Flatbush Zombies. It was preceded by two singles, "RAF" featuring ASAP Rocky, Playboi Carti, Quavo, Lil Uzi Vert and Frank Ocean, and "Feels So Good" featuring ASAP Rocky, ASAP Ferg, ASAP Nast, ASAP Twelvyy and ASAP Ant.